Follow us on Facebook to see Gus' travels around the world....this little guy really gets around! 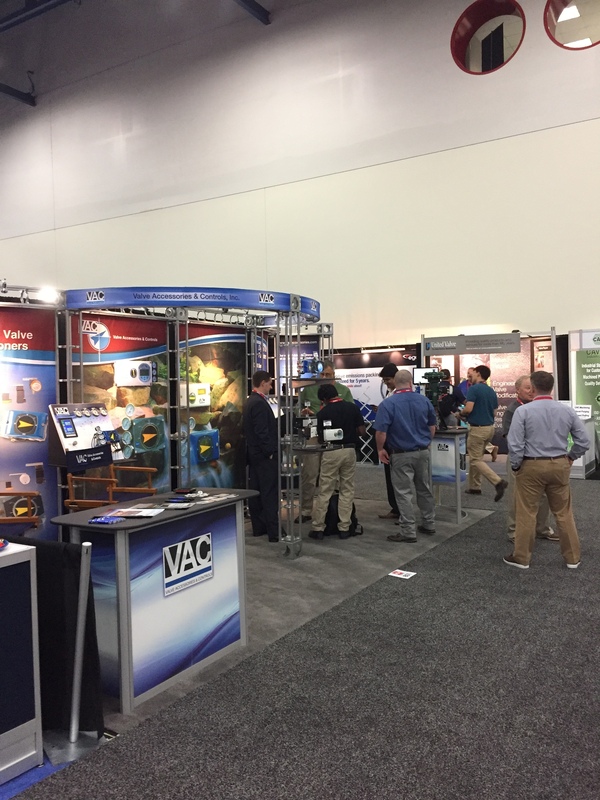 VAC would like to thank all the current customers and potential new customers who stopped by to see us at the Valve World show in Houston, TX. 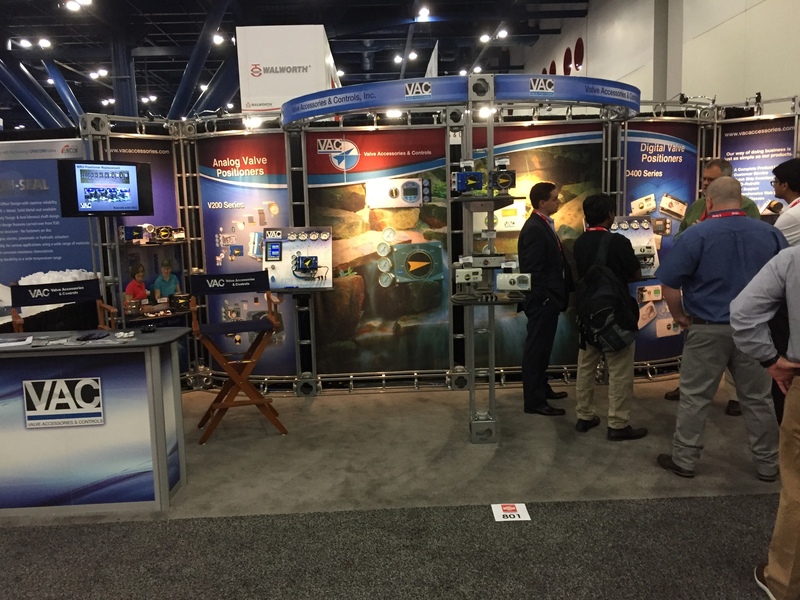 We had a great show and met lots of new people. We look forward to being back in 2019!! Congratulations to our August Training Class Graduates!! Special thanks to the attendees of our training class in August. The guys pictured below are from left to right: Sean Smith with Southeast Industrial Sales, Don Trapp Plastomatic, Matt Priske with Plastomatic, Ian Booth with Plastomatic, Conner Reed with Consolidated Pipe and Greg Miller with Dwight Prouty. All of our training classes for October and March are taken so if you'd like to reserve your spot in our May 15th-16, 2018 or July 31st and August 1st, 2018 classes please call us at (205)678-0507or email Tammie Hughes, these spots will not last long!!! We have recently switched from ABB to the Watson Smith I/P in our V100E positioner. The one on the left is the Watson Smith I/P and the one on the right is the ABB. The new I/P will operate the exact same as the old I/P, they will install the same way and will function the same. If you have any questions, please don't hesitate to call us. At VAC we know that having everything you need to sell, service or retrofit our products is very important and we are continually working to provide you with everything you need. As a result of this ongoing effort, we have recently developed a Warren DL-49 mounting kit. Please call for price and availability. A question that is coming up often as we have more and more customers buying the D400 positioners is, "how difficult is it to install a feedback module into the D400 if it isn't initially ordered from VAC with the Feedback card already installed?" The answer, it's very simple. 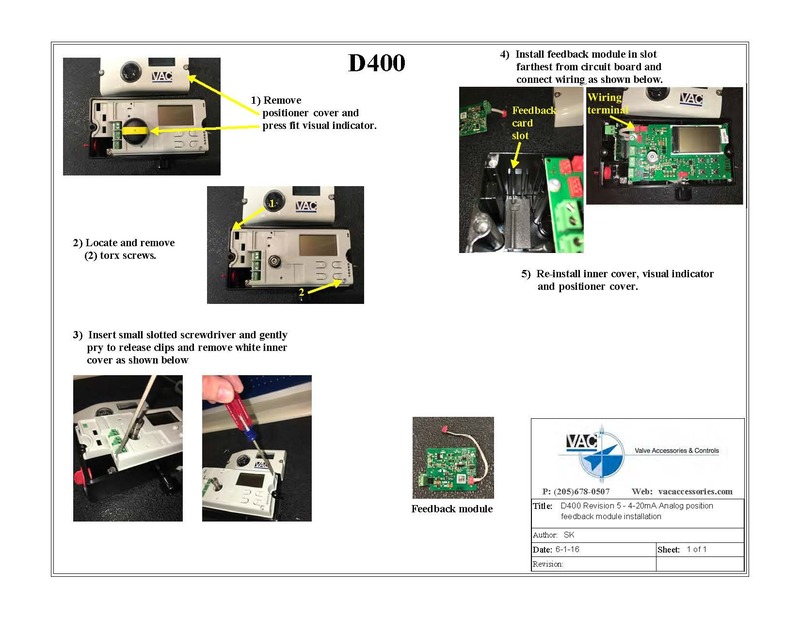 Below you will see a basic instruction sheet that shows that the Feedback module can be installed into the D400 in as little as 5 simple steps. If you still have questions you can certainly call us at (205)678-0507. Thank you for your continued support of our product line. If you have any questions or would like to get more information such as product brochures please call us at (205) 678-0507. 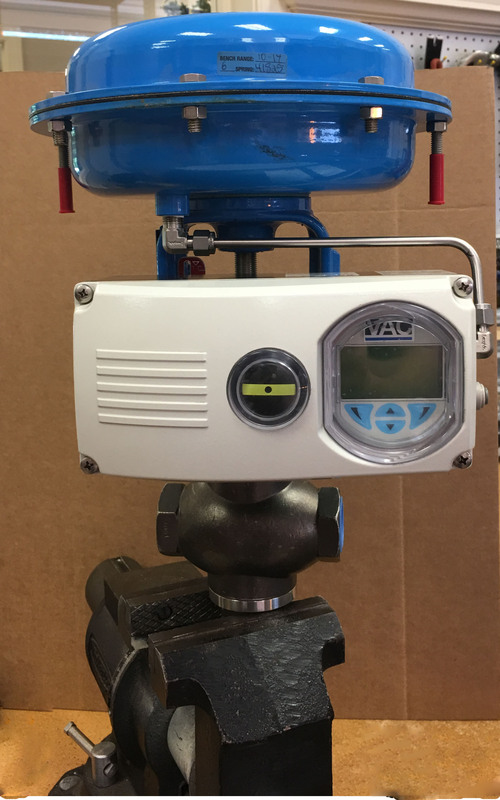 Also visit our website for more information, (click Valve Accessories & Controls to be redirected) Valve Accessories & Controls.